Sterling Silver 30" Men's 1.5mm Wide Box Chain Necklace With "I Love Soccer" Message Pendant. 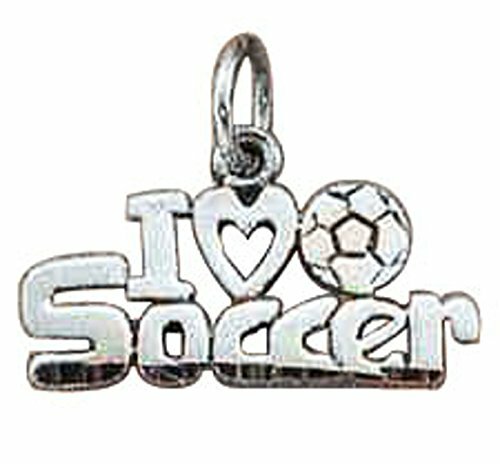 This I Love Soccer Pendant Is Approximately 7/8" Wide And 3/8" Tall. High Polish 14k Gold Curved Love Key with Open Heart Pendant Necklace, 20"